IHOP’s first-ever Kid Head Chef, Starla Chapman, rounded out a full few weeks of activities with a trip to Orlando for Children’s Hospitals Week. While there, Starla was joined by IHOP franchisee owner Robert Tomlinson to talk about her winning pancake recipe and also show off the pancake brand’s newest item: PancakeWear! PancakeWear is part of IHOP’s 60 Days of Giving campaign. A portion of the proceeds for each pair of pancake pants, onesies and socks goes to Children’s Miracle Network Hospitals and the more than 10 million pediatric patients, like Starla, who are treated in children’s hospitals across North America. Nine-year-old Starla is from Mobile, Alabama and has faced an uphill climb since birth. She was diagnosed with acute myeloid leukemia when she was only two and subsequently suffering cardiac arrest as a result of the chemotherapy. Today, thanks to the care at USA Children and Women’s Hospital, Starla is thriving and loves to entertain on the YouTube channel she shares with her younger brother. Starla chose to create an oatmeal raisin cookie pancake with cinnamon and a scoop of vanilla ice cream in honor of her grandma and the days spent baking cookies together. Visit any IHOP® restaurant through March 31 to make an on-check donation to your local children’s hospital. 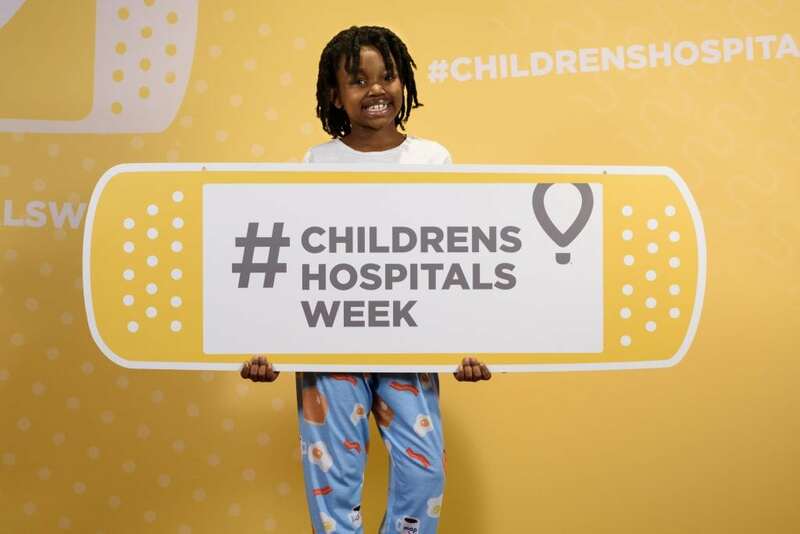 Previous post: Children's Hospitals Week Wrap-up!